Deadline is reporting today that Matthew Lewis is starring in Baby, Done, a Piki Films production by New Zealander Taika Waititi. Fans will recall that last week Matthew tweeted that he would be in New Zealand for the next 8 weeks. Now we know why! 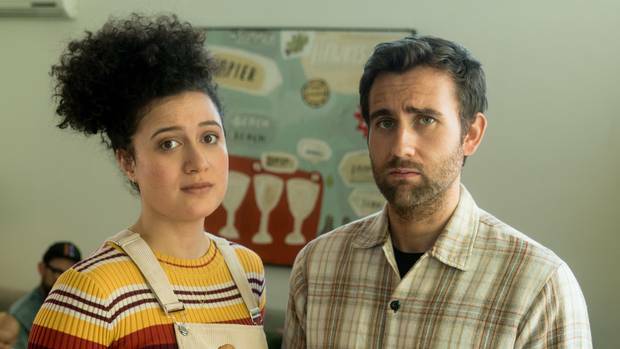 Rose Matafeo stars as Zoe “a tree surgeon who becomes pregnant by her longterm boyfriend Tim and subsequently freaks out as she tries to rush through her dreams before she turns into a mother.” Matthew will be playing Zoe’s boyfriend Tim. The New Zealand Harold released this photo of the pair. According to Deadline, the film will be released in New Zealand and Australia in 2020. It is unknown when it will be released in other countries but we would assume a similar timeline. As we posted wayyyy back in August 2017, Matthew was part of a Kickstarter for a web series called Nutritiously Nicola! The seven episode series was released on YouTube earlier this month. Matthew Lewis and his brother Anthony guest starred in a couple episodes (Anthony is briefly in the final episode.) Matt plays a version of himself that wants to be the buffest person there is, even buffer than….we’ll let you find out! Those episodes can be watched below, or watch the full series on YouTube. Please be aware that this contains content not suitable for certain ages. As of today, Terminal is available to watch on Hulu! It is also still available to rent on Amazon Prime, iTunes, and On Demand You can also order the on DVD or Blu-Ray, which was released on June 26th, at Amazon, Target and other retailers. Thanks to Vic for the tip! Today LEGO has announced a new collection of LEGO minifigures! There are twenty-two new figures in all from the Harry Potter and Fantastic Beasts films. Of course, Neville Longbottom is one of the new Harry Potter LEGOs. 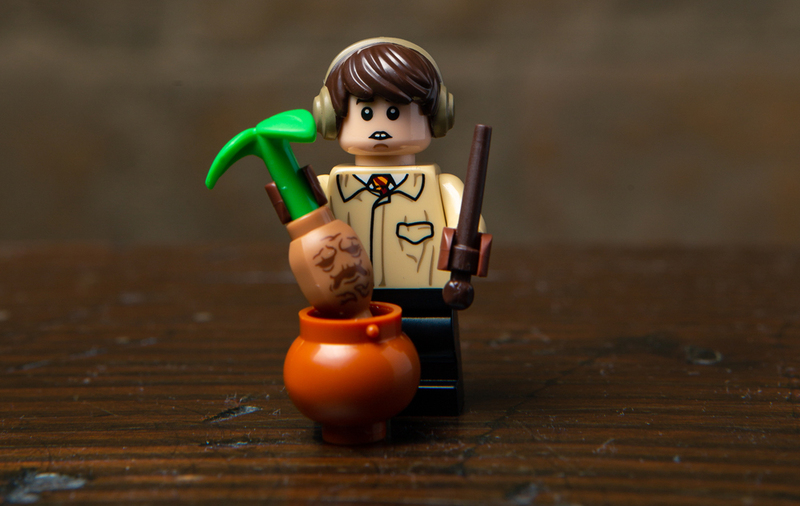 The Neville Longbottom LEGO features him in his Herbology outfit and a mandrake. Available August 1st, the collectible Wizarding World minifigures will be sold in toy stores, shop.LEGO.com and in LEGO Stores nationwide for $3.99 each. Thanks to Magical-Menagerie for the tip! Photos from the new thriller, Terminal, are making their way online. Today we have our first, albeit blurry, photo of Matthew Lewis as Lenny in Terminal. You can view the photo in high resolution in the gallery! Terminal is now available to watch on Amazon Prime, iTunes, On Demand and in select theaters! You can also pre-order it on DVD or Blu-Ray at Amazon, Target and other retailers for delivery on June 26 2018!